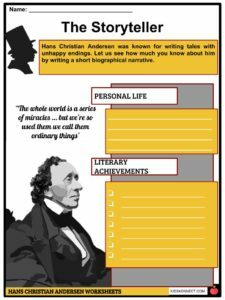 Hans Christian Andersen was a Danish author famous for his fairy tales, including the Little Mermaid, the Emperor’s New Clothes, and Thumbelina. 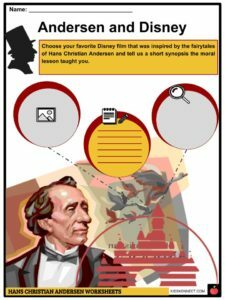 Hans Christian Andersen was a Danish author famous for his fairy tales, including the Little Mermaid, the Emperor’s New Clothes, and Thumbelina. 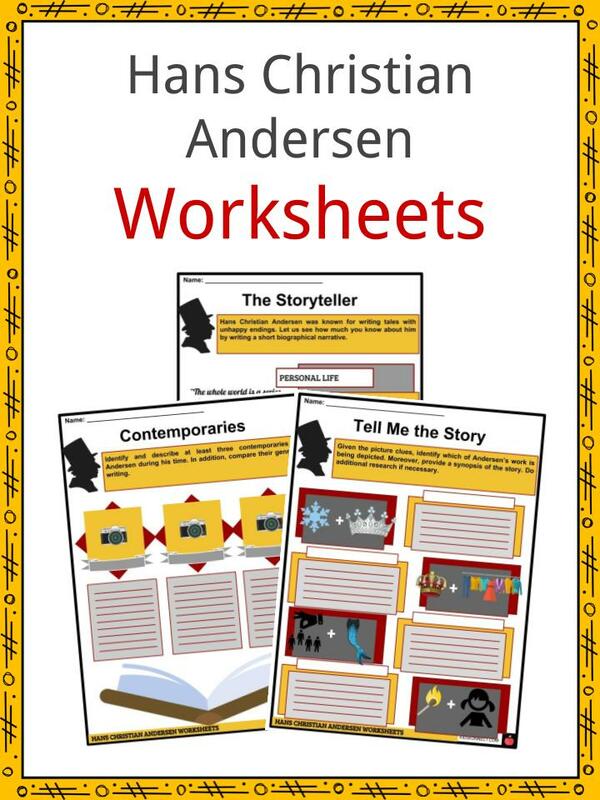 Throughout his lifetime Andersen wrote hundreds of plays, novels, and poems for both adults and children, although it’s his fairy tales that continue to get the most recognition, almost 150 years after his death. 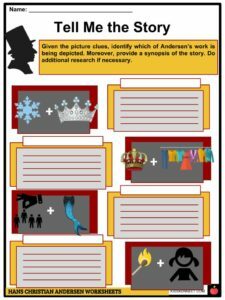 See the fact file below for more information on the Hans Christian Andersen or alternatively, you can download our 19-page Hans Christian Andersen worksheet pack to utilise within the classroom or home environment. Hans Christian Andersen was born on 2 April 1805 in Odense, Denmark. He died on 4 August 1875 and was 70 years old. 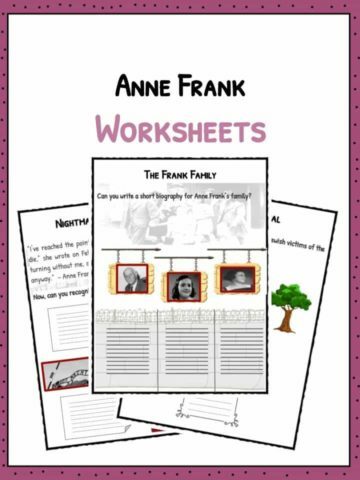 His father, also called Hans, died in 1816 and his mother, Anne Marie, remarried in 1818. Until he was 14, Andersen attended a school for poor children and was taught weaving and tailoring. He left the school aged 14 to become an actor in Copenhagen, but a close friend told him to focus on his poetry and stories instead. 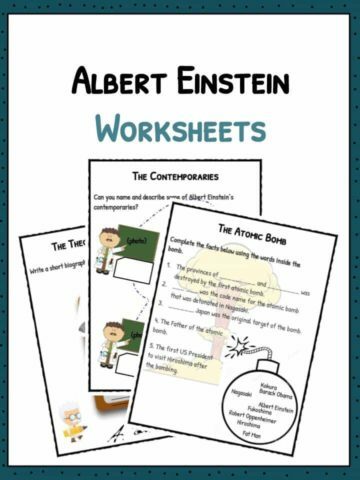 He suffered from dyslexia, meaning he had trouble reading and writing. Andersen’s first story was published in 1822 and was called The Ghost at Palnatoke’s Grave. 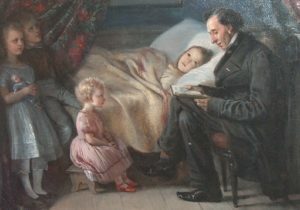 His first book of fairy tales was published between 1835 and 1837. The book contained 9 fairytales: The Tinderbox, Little Claus and Big Claus, The Princess and the Pea, Little Ida’s Flowers, Thumbelina, The Naughty Boy, The Travelling Companion, The Little Mermaid, and The Emperor’s New Clothes. Most of his fairy tales had unhappy endings. 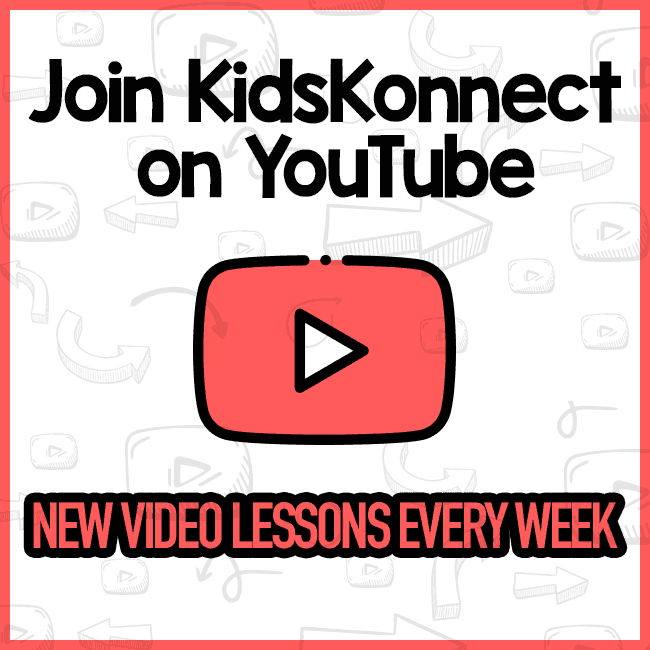 They have been translated into more than 125 different languages around the world and have been made into countless films, TV shows, ballets, and plays. In Denmark, Andersen’s fairy tales are called ‘Eventyr’. He continued to publish fairy tales in short volumes until 1872. 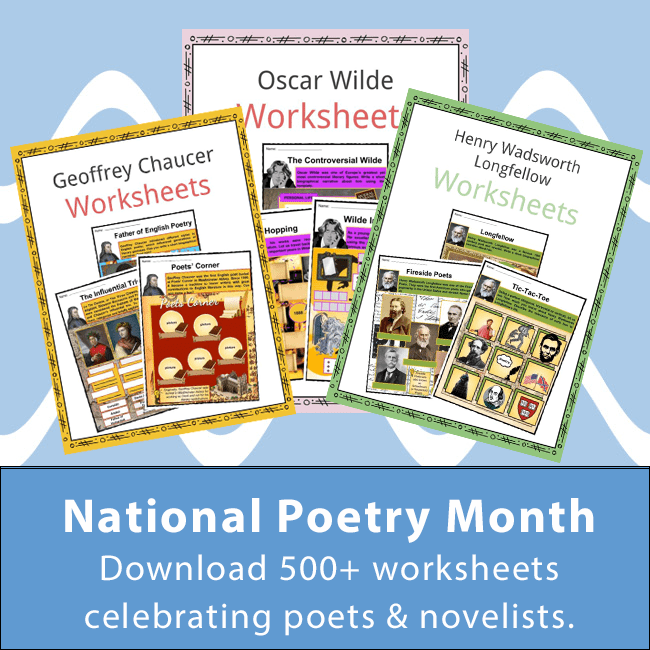 Also, he published many famous poems during this time. The Disney films The Little Mermaid, Fantasia 2000, and Frozen are all based on Andersen’s fairy tales. He was friends with Charles Dickens and used to visit him in England. However, their friendship ended when Andersen spent too many weeks as a guest in Dickens’ house. Dickens’ family were not impressed that he had overstayed his welcome and he was sent home, never to be heard from again. He never got married or had children. 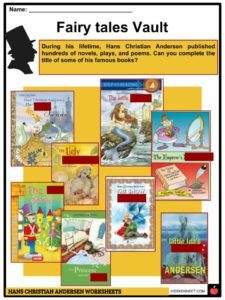 This is a fantastic bundle which includes everything you need to know about Hans Christian Andersen across 19 in-depth pages. 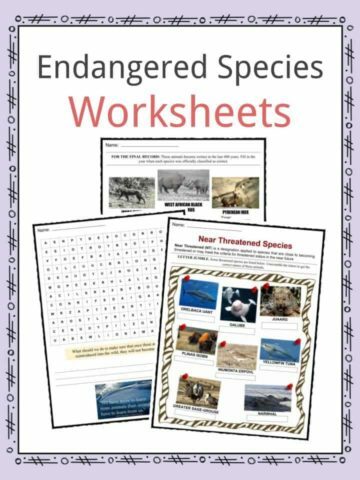 These are ready-to-use Hans Christian Andersen worksheets that are perfect for teaching students about Hans Christian Andersen who was a Danish author famous for his fairy tales, including the Little Mermaid, the Emperor’s New Clothes, and Thumbelina. 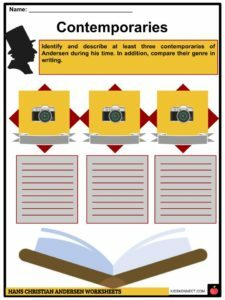 Throughout his lifetime Andersen wrote hundreds of plays, novels, and poems for both adults and children, although it’s his fairy tales that continue to get the most recognition, almost 150 years after his death.